We almost forgot about Ubisoft's Assassin's Creed Rebellion, a game that the French company revealed more than a year ago. It's probably not a coincidence that Ubisoft announced something related to Rebellion less than a week after the launch of its Assassin's Creed Odyssey game. Apparently, Assassin's Creed Rebellion will be launched on Android and iOS on November 21, so we're still more than a month away from the game's launch. Unlike Odyssey, which is an action RPG (role playing game) title, Assassin's Creed Rebellion is a free-to-play strategy-RPG, featuring a unique art style. Set in 15th century Spain, at the height of the Inquisition, Rebellion allows players to found their own Brotherhood and recruit up to 40 characters. 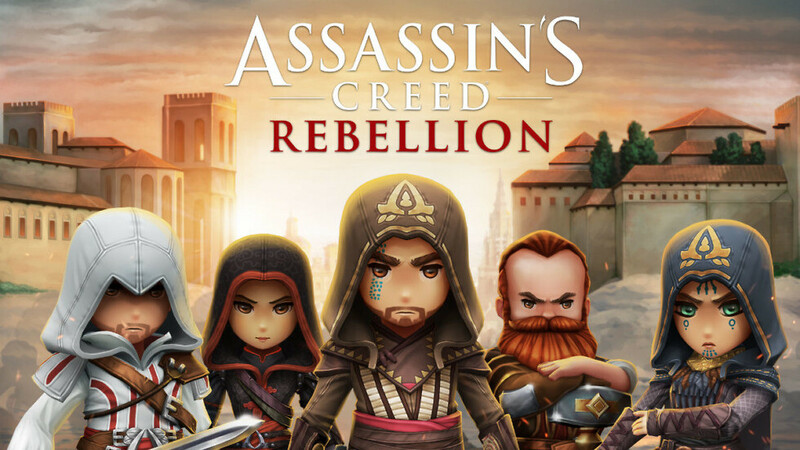 If you're a fan of the Assassin's Creed franchise and played many of the old games, you'll find many familiar faces in Rebellion, including Ezio, Aguilar, Maria, Shao Jun, Machiavelli, and Claudia Auditore. Even though the game will be launched next month, players can already pre-register for exclusive in-game rewards, including Assassin's Creed Odyssey weapons and a special character. In order to pre-register for the game, you'll have to visit the game's official website at the source link. I've been playing it for 3 days now. Is that release date only in US?